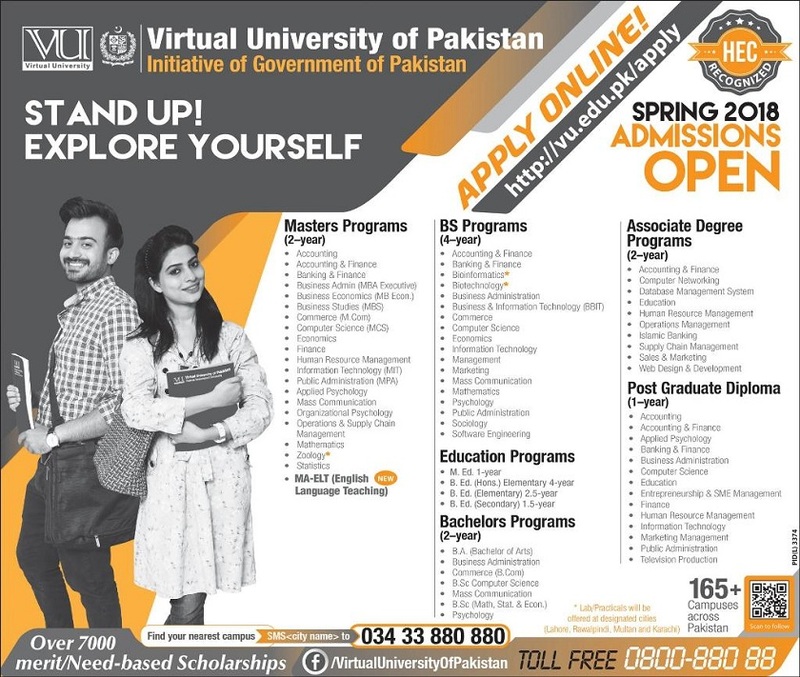 Virtual University an initiative of Government of Pakistan is Offering Admissions in the following Programs. Note: Details of each program is given in the advertisement given below. Interested candidates can apply online by visiting the website given below.